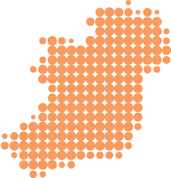 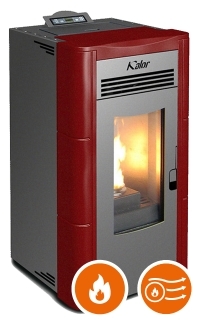 Kalor offer an impressive range of Ductable Wood Pellet Air Stoves in a range of styles which offer a unique method of heat distribution without the requirement for pipes or radiators. Heat is simply moved through a duct using the stove's integrated fan, to a room or rooms above or adjacent to the stove itself. Kalor Ductable Wood Pellet Air Stoves are the most efficient in class, offering efficiencies of up to 98%. 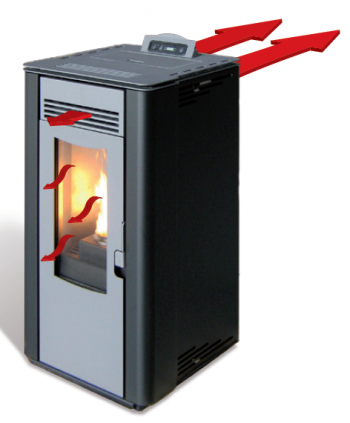 Kalor ductable air stoves offer either 1 or 2 rear duct exits to distribute heat to 1 or more rooms, within ca. 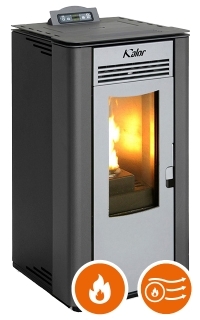 4 - 8m of the stove itself. 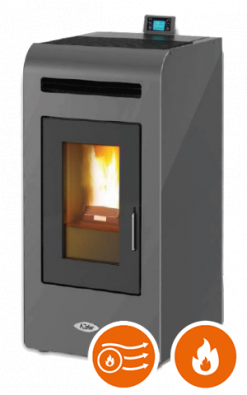 The ductable feature is fully controllable, giving the user the choice of where the heat is distributed and is adjusted with a either simple manual lever on the front of the stove or electronically via the control panel or remote control (depends on model). 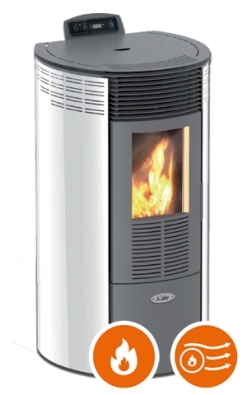 Kalor Ductable Wood Pellet Air Stoves are offered in Traditional and Slimline styles and in a range of sizes/outputs. 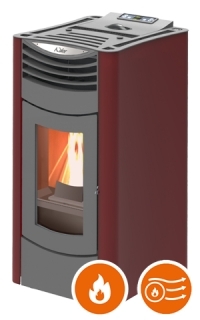 See below for available models or check out the Slimline options. 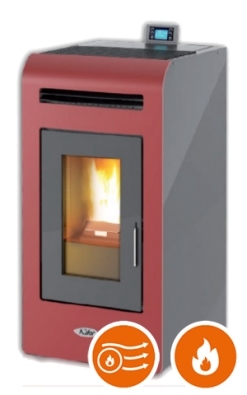 Any stove with a "D" in the model number is a ductable model.